Return to main article: "NaviForum Shanghai 2010"
The United States brought a strong message that it is pursuing a new direction in GNSS relations with China in presentations at the recent 2010 NaviForum Shanghai. In a September 1 keynote address to an audience populated primarily with Chinese entrepreneurs, engineers, and Compass program officials, Tony Russo, director of the National Coordination Office (NCO) for Space-Based Positioning, Navigation, and Timing (PNT), expressed the strong U.S. interest in establishing more direct communications with China on the nations’ respective GNSS systems, GPS and Compass (Beidou-2). Until now, discussions of the subject between the two countries has taken place almost exclusively in multilateral forums, such as the United Nations-supported International Committee on GNSS, the Asia Pacific Economic Cooperation GNSS Implementation Team, and the operator-to-operator frequency coordination under the auspices of the International Telecommunications Union. U.S. space policy has “new language and a new direction,” Russo told his Shanghai listeners, adding that “international cooperation . . . is a priority for the United States government” through both bilateral and multilateral agreements. Russo also underlined elements of President Obama’s recent National Space Policy that “foreign PNT systems may be able to strengthen the resiliency” of civil GPS services. Russo had foreshadowed his remarks at NaviForum in an interview with NAVIBIZ, a Chinese electronic newsletter focused on the telematics industry. 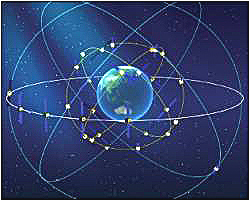 “President Obama’s new National Space Policy, signed this summer, explicitly directs us to engage with foreign GNSS providers to encourage not only compatibility, but also interoperability,” Russo told NAVIBIZ in response to the question: Will the U.S. consider close cooperation with the Compass, in terms of civil and even military use? Russo’s message was reinforced by another U.S. keynoter, Jeff Auerbach, an advisor on GNSS affairs for the State Department’s Office of Space and Advanced Technology. “The U.S. is interested in engaging in further bilateral discussions with China on civil GNSS services and applications,” Auerbach said. With a presentation titled “GPS and Worldwide GNSS Interoperability,” Auerbach also underlined the value that U.S. policy places on radio frequency compatibility, signal interoperability, and open technical standards.